46 Blocks! It’s a record! 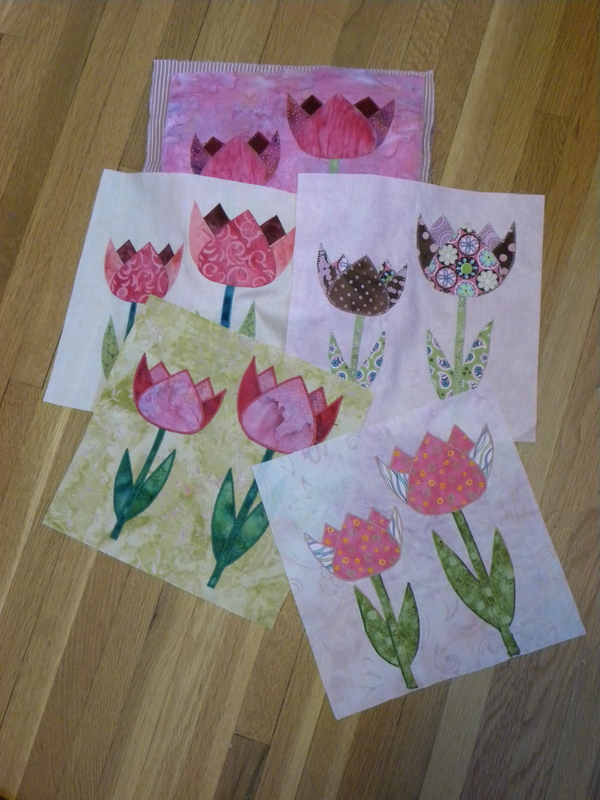 I’m thrill to say that 46 tulip blocks were turned in this past Wednesday evening. I had several ladies tell me how fun the block was and they were looking forward to working on the next block. Keep up the good work ladies! Here is what I’ve been working on lately. I painted this lily in a very sketchy manner. My goal was to do a lot of thread painting. 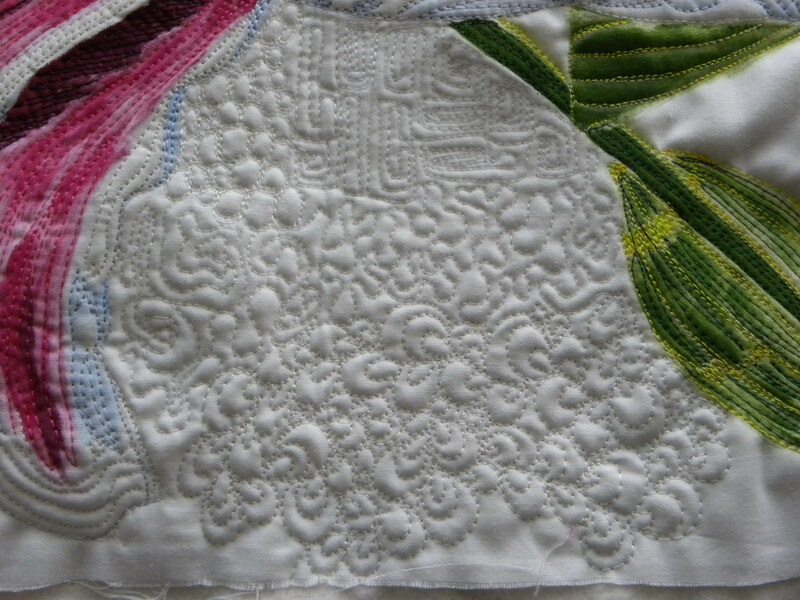 I’ve also been working on the background quilting. Instead of the same pattern for the background I wanted to change it up and and do different patterns. I tried this technique on a project last year and loved it. It added so much variety and was much more interesting to look at. What do you think? 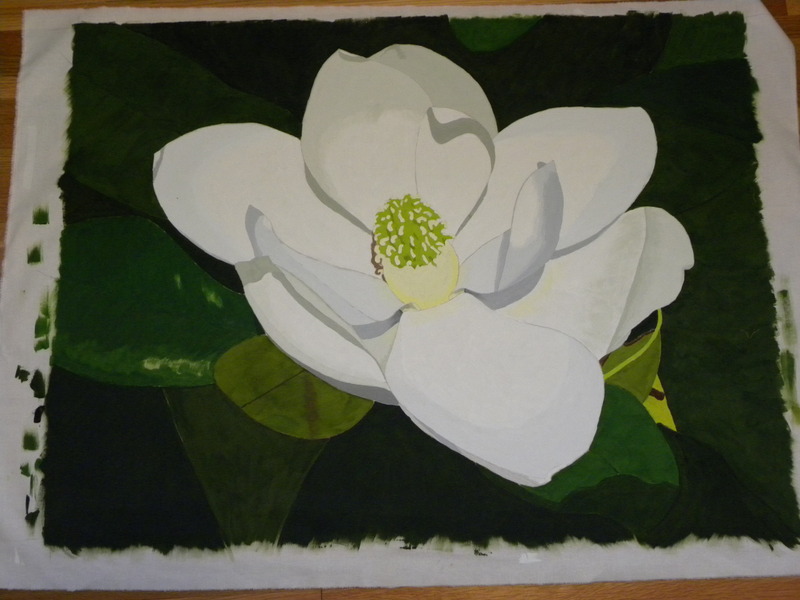 And, I’ve been working on the super-sized magnolia. 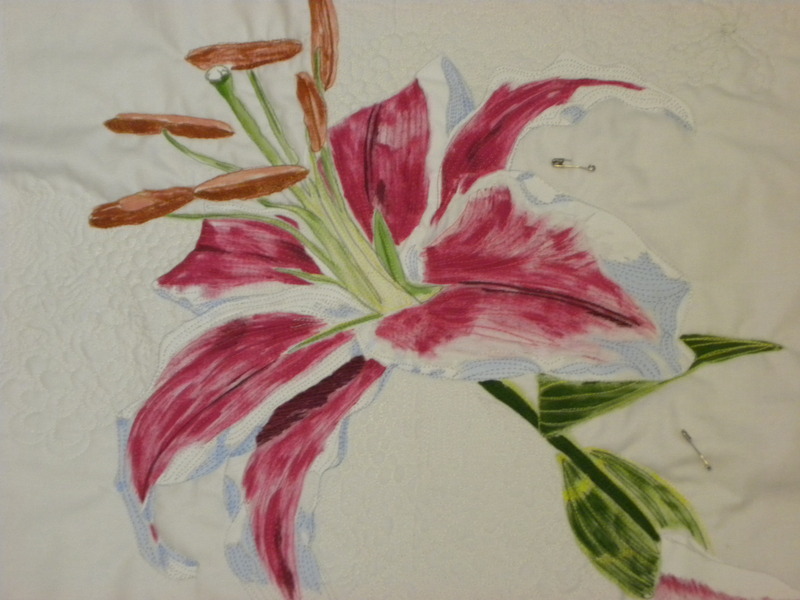 I painted it over a two-week period and now I’m working on the quilting. Finally, a kitty pic to enjoy. 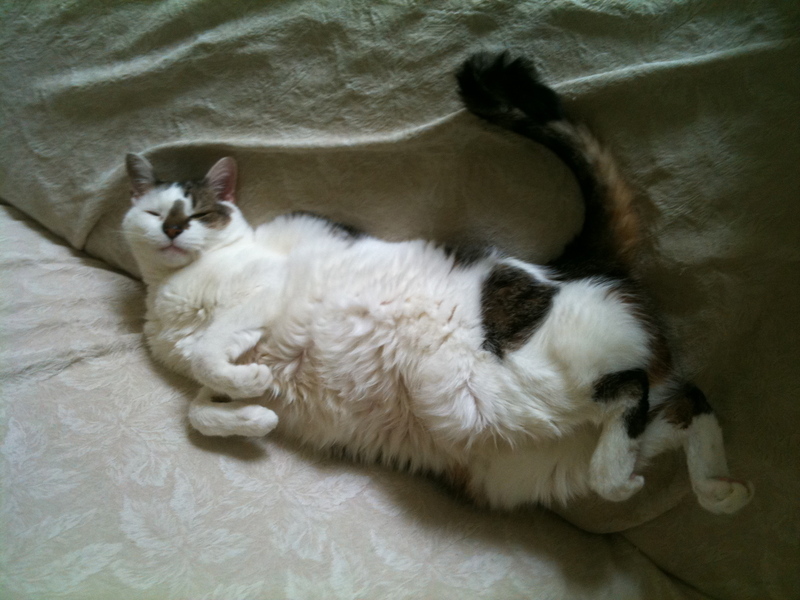 Tootie reclining.